What makes a brand ‘human’? Let’s face it, it’s not too unusual to run into corporate communications that feel impersonal and distant from a customer’s point of view. So, it’s no coincidence that agencies use the word ‘humanising’ over and over again when providing advice on brand messaging. Putting aside any possible scepticism towards the seemingly volatile concept, humanising customer interactions must be the ultimate mission of any modern brand, which should empower its brave employees to shake off any robotic feel customers may perceive in their interactions with the company. In this sense, things have changed massively since social media have joined the landscape of ‘brand to human’ interactions. 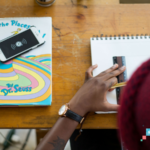 Becoming a ‘human brand’ online is now somehow easier, and the way to achieve such an ambitious goal is to showcase the company’s culture with a recognisable, sincere and consistent voice on social media. When you think about it, the most successful and engaging brands on social media are often the ones that are easy to talk to and pleasant in their dialogue. 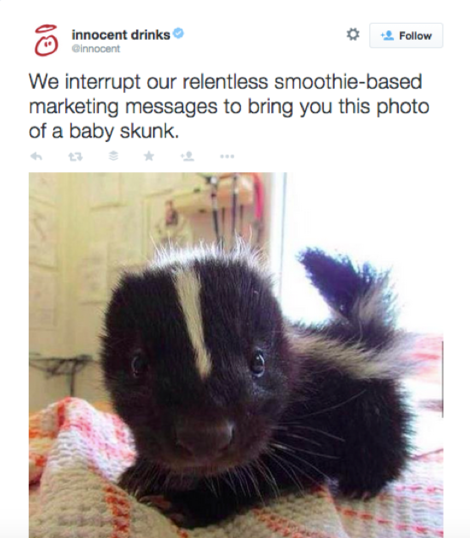 Ok, there are plenty of amazing brands out there creating funny, memorable and tasteful content for their audience to share, but when it comes to feel-good vibes Innocent Smoothies are in a league of their own. This could depend on the fact that staff are allowed “a healthy degree of spontaneity” when suggesting content or engaging with customers on social media, as the company’s community manager Joe McEwen explains. Witty jokes, cute images and well-written (and not too obvious) content promotions are the three secret weapons of Innocent’s incredible success, along with great and recurring partnerships (such as the one with Age UK – also a SoAmpli client – every winter). (282K Twitter followers, 588.5K likes on Facebook, 77.9K followers on Instagram and 41.5K on LinkedIn). 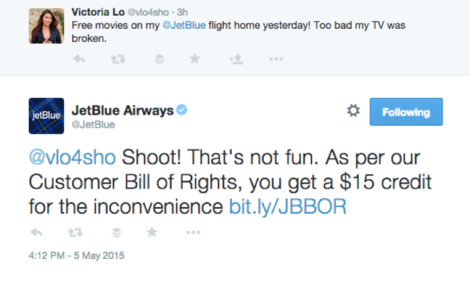 When it comes to top-notch customer support, few companies can compete with the American airline JetBlue. They do their best not only to acknowledge people’s words of praise for them, but especially to answer as promptly as possible all questions, concerns or complaints that their customers may have (we all know how stressed out one can get when things get tough while travelling). They are great at monitoring all conversations about themselves, even the ones that don’t @mention them directly, bringing the whole ‘social listening’ strategy to a brand new level. 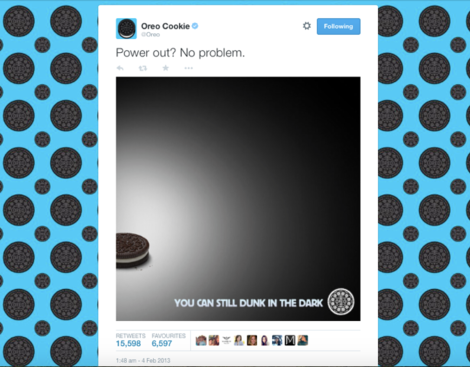 There’s plenty to love about Oreo’s social media approach. Take their Twitter bio, for instance: “Your favorite cookie, filling your world with Wonder 140 characters at a time”. And the best thing about this description is that it is incredibly accurate. Those 140-character-Wonders are not only made of good-hearted and clever humour, but also showcase the company’s ability to jump on viral bandwagons in the most unexpected way. We all remember their impromptu tweet during the SuperBowl’s blackout in 2013 was a sheer stroke of genius that made social media history and kind of invented the whole concept of ‘instant’ or ‘agile marketing’. The whole ‘sharing is caring’ philosophy has gained a totally new value since the expansion of social media. 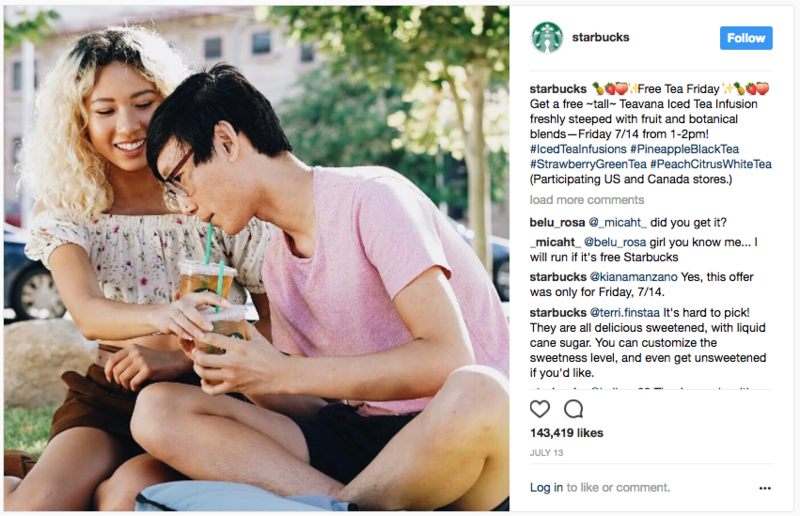 Although the majority of Starbuck’s posts are promotional and upselling content, they managed to grow a faithful and vast community of followers on all major social media (a follower base so passionate they embark in heated debates about the colour of the company’s cups). The easiest explanation for this state of things is that the offers promoted by the coffee chain are usually really hard to resist, and available to followers’ friends as well. Cherry on top, all posts are complemented with stunning photos that are simply really nice to look at, whatever they are advertising. (14.9M followers on Instagram, 11.9M Twitter followers, 36.9M likes on Facebook, and 813.2K on LinkedIn). A couple of years ago, our founder Maz Nadjm had the pleasure of sharing the stage at Engage London with Alexander Onish, L’Oréal’s Digital Employer Branding Manager. During the presentation, he shared the company’s strategy (along with many great examples) of leveraging social media to showcase culture, attract talent and engage staff in fun and inspiring ways. This strategy proves extremely effective. For instance, people tend to trust employees working at a company more than they trust official communication channels of that same company. 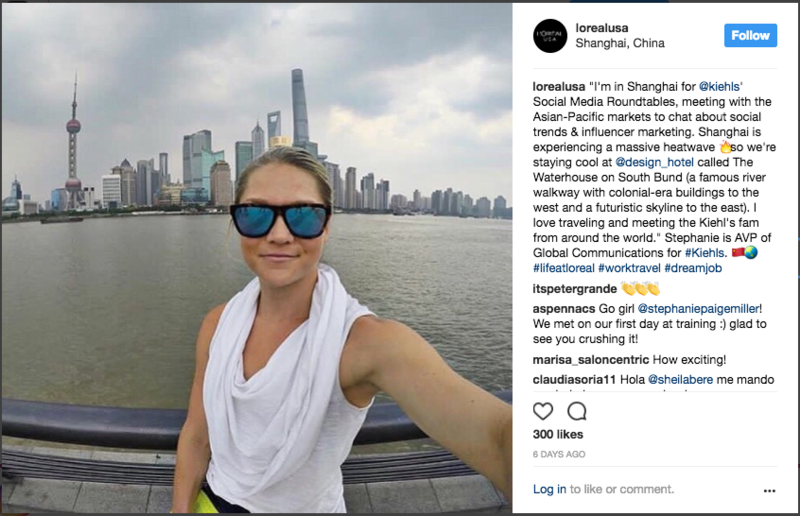 With this in mind, L’Oréal empowers employees to become the actual face of the company, offering glimpses of office life to social job-seekers (also through the dedicated hashtag #lifeatloreal – a brilliant idea that generates great response). (7.3K posts on Instragram using the #lifeatloreal hashtag). According to Michael Brito, “While many organisations are trying desperately to humanise their brand, they are failing to understand that they need to humanise their business first.” And the best way to humanise a business is starting from the people that make it. By empowering employees at all levels to suggest ideas for content, ‘lend’ their face and images to the company, monitor conversations in their networks, and promptly ‘jump’ into them when relevant, companies can have a positive impact on the way customers perceive their brand and culture, influencing purchasing decisions as well. Once a company is ready to take the ‘humanising’ leap of faith, employee advocacy platforms prove extremely useful in sourcing, customising and amplifying all different kinds of social media content. A version of this article was originally posted on Econsultancy. Sign up to our Helpful Tips! 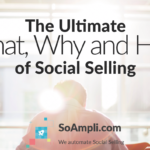 Get all our social selling resources and top stories, straight to your inbox.